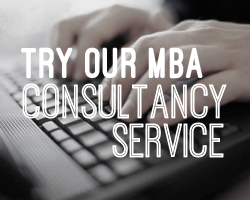 Choosing the right university for your graduate studies can give you a competitive advantage in today's global environment. Zayed University has a well deserved reputation for academic excellence in the Gulf Arab States since 1998 and is recognized as one of the UAE's leading centres for senior executive education. Zayed University and its prestigious international partner universities offer a comprehensive portfolio of internationally recognized graduate programs in areas such as business administration, health care administration and public administration. Zayed University offers students state-of-the-art teaching facilities, a distinguished international faculty, interaction with a high quality peer group in small class sizes and a strong connection with the local business community. Zayed's executive programs are tailored professionals' needs, helping them complete top-quality academic programs without interrupting their personal and professional lives. Programmes are delivered on Zayed University's UAE campuses in Abu Dhabi and Dubai, and prepare highly committed and motivated participants for productive executive and senior management roles. By choosing to study at Zayed University, you will be equipped with a wide set of diverse skills, capabilities as well as unique insights that you would need in order to succeed in your career and to develop from management to successful leadership. 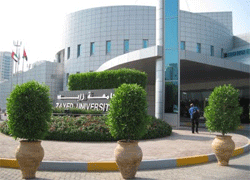 Come to Zayed University to study a highly rewarding, stimulating and internationally recognized Masters degree.